PoPville » Lobster Lovers – Check It!! Lobster Lovers – Check It!! 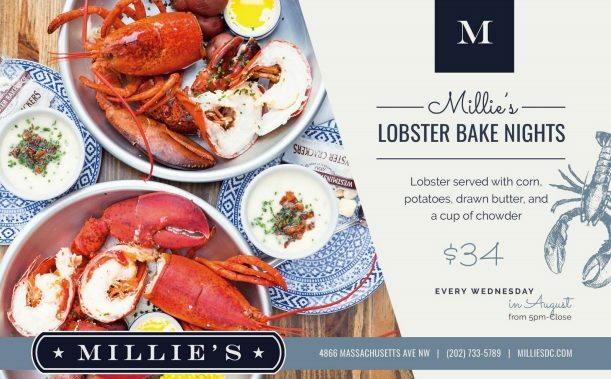 “Millie’s DC is thrilled to round out its first summer with Lobster Bake Nights. Offered every Wednesday night in August from 5pm to close, the classic lobster bake is served with corn, potatoes, drawn butter, and a cup of chowder for $34 per person.